It claims that it is a great medium for you to voice your opinions about the products you buy and make a difference in manufacturer’s decision making. VIP Voice conducts more than 12 million surveys each year for over 1,700 product companies. The company conducts research in a wide array of products ranging from beauty and consumer electronics to information technology. The poll rewards system offers VIP reward points once you complete a survey, which can be used to enter sweepstakes and auctions. The sweepstake offers members a chance to win prizes like electronics and trip. And the auctions enable you to bid on recent auctions for products and services along with chance to “instant win”. 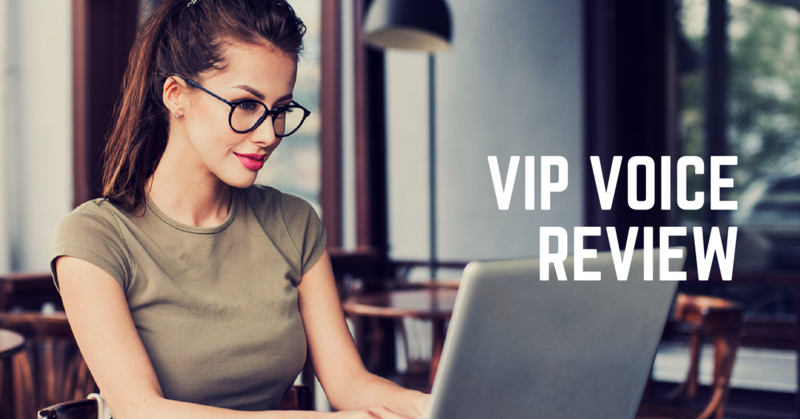 This honest review of VIP Voice website focuses on its features, determining if it is legit, pros and cons and most importantly if it is a good way to earn some extra cash? Like most survey sites, you can become a member of VIP Voice by signing up using your email id and filling out a simple questionnaire requiring some personal information. Once you verify your email account you can right away start taking surveys. The website features tiered membership with 5 different levels. To move up the level, member needs to finish a fixed number of surveys. You earn points for each survey you complete. However, the number of points earned depends on your current reward level. The higher up on the levels you are, the more the number of points one will earn for taking the same survey. The number of points you earn also depend on whether you are qualified to take the survey or not. In order to qualify, you need to meet certain basic survey requirements like purchased atleast one item that the manufacturer offers. If you complete the survey, however fail to qualify, member will earn VIP Participation Points. And if you qualify for the survey as well as complete it, member will earn VIP Qualification Points. The reward points earned can be redeemed on their exclusive rewarding website SweepLand.com for a variety of different items. Each VIP Voice point enables you to enter in either sweepstakes or bid in an auction. You can decide the number of points to be used as per your will to enter the SweepLand sweepstakes. However, to bid in BidLand auctions, the number of points you use should be greater than the “Current High Bid”. SweepLand – You can try your luck at the SweepLand.com, which is a sweepstakes program exclusively for the members for a range of prizes. Each point you use in the sweepstakes is considered an entry, so higher the number of points you enter the better your chance of winning. Winners are decided randomly. Monthly sweepstakes have high value prizes, including HDTV, laptop and big apple experience. BidLand – You can bid for prizes on BidLand.com, which is another member-only website that allows you to bid in an auction using your points on a variety of items. The highest bidder wins the prize using up points from their account. If you lose, your points are returned to your account. The auction program also features level-exclusive auctions to improve your chance of winning. How can you make money with it? Is it legit? The NPD group has enjoyed A+ rating from Better Business Bureau since 1972 for its good business. This proves that the company is legit and does pay. However, their mode of compensation is points rather than cash, which earns you a miniscule chance to win a bid or redeem a small reward for big points. The number of survey invites you receive are one or two per week and there is nothing much you can do to improve that. The website also does not even tell you till the end of the survey how much points you will earn from the survey or how much time it will take or even if you are qualified to take the survey till the end. No minimum account threshold– Once you have points, you can use them as an entry in the sweepstake or bid in an auction. Diverse surveys – They include a wide mix of diverse industries ranging from accessories and automotive to electronics and health. The questionnaire is mostly simple. BidLand auction – Some high value rewards like electronics and a vacation, can be earned, if you are really lucky. You earn points for disqualifications. Even if you do disqualify for a survey, you earn some points for it. Expiration – Points are valid as long as you have an active membership. Product trials paying out in cash. If you are really lucky (which is a rare occasion here), you can get invited to product trials and online focus group compensating in hard cash too. No direct payment method – If you are looking for some extra cash in hand then you will be disappointed. However, if you are in for auctions or just answering surveys and enjoy buying online, you may like it. Highly addictive. You will find yourself spending more time than you should in the BidLand especially if you enjoy bidding. Eligibility – Only USA and Canada residents are accepted with a minimum age requirement of 13+ for US residents and 18+ for Canadian residents. Limited weekly surveys – If you looking to take a huge bunch of surveys here, this might not be the right place for you as they only send out a 1-2 survey invitations per week. Survey qualification – VIP Voice does not actually disclose whether you are qualified to take a survey or not till you finish taking the survey and submit it. Rest assured that VIP Voice is a legitimate online survey website. However, its reward system is highly unrewarding. Most users have complained that they have never earned any gift or reward after spending a year or more on their website. If you want to try a hand at making money from online surveys, there are bunch of better paying and better regarded companies out there. Our recommendation in this case would be to look the other way.